Service level management provides a framework in which IT services are defined, agreed upon and delivered. The role of service level manager is a critical one in that the agreements negotiated with customers should inform most if not all of the activities of the service provider. Rarely is this the case however, and there are many tripwires awaiting the inexperienced or unwary. This practical book is aimed at helping those whose role is to establish, negotiate, manage or update service level agreements and to use these as the basis of continual service improvement. It covers areas such as purpose, required skills, responsibilities, interface and career progression as well as tools, standards and frameworks related to the role. 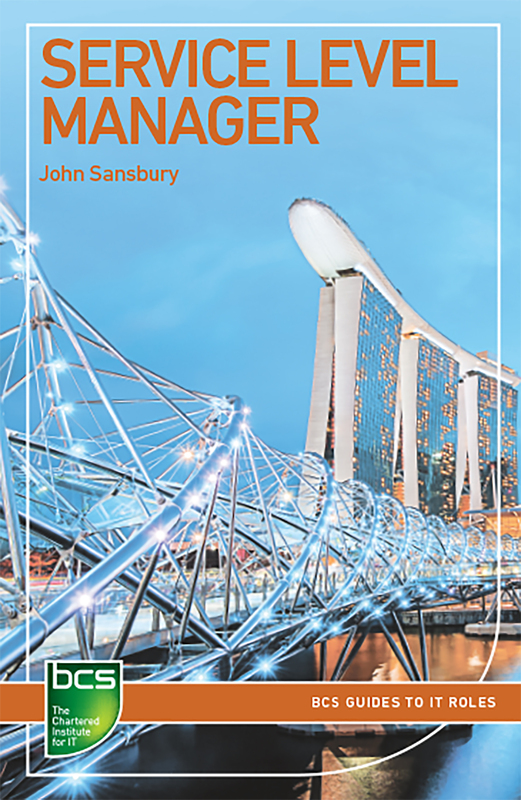 John Sansbury owns Infrassistance, a consultancy specialising in service management, is an ITIL practitioner, examiner, trainer, speaker, author and consultant as well as a Chartered IT Professional and Fellow of BCS. He is passionate about service management and has helped some of the world’s largest organisations improve the delivery of their IT services.